This is a record of my life as an A-Fibber. Please do not in any way construe this as advice, as I am not a doctor (legal disclaimer). I want to thank you for this forum. 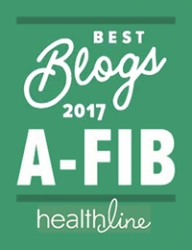 My experiences may give insight into A-Fib cases. I am 58 years old, male, weight 274 lbs. (before operation 284 lbs.). I started with Paroxysmal A-Fib in 1994. Large doses of calcium channel blockers like Verapamil would convert me to sinus rhythm from 2-7 hours. 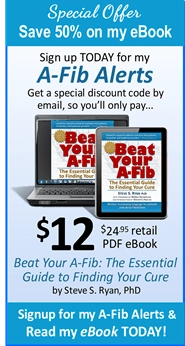 A-Fib episodes without medication would go on for 72+ hours. In 2004 I was put of dofetilide (Tikosyn) 500 mg daily for 6 weeks by Dr. Steinberg, who then did a PVA at St. Luke’s-Roosevelt Hospital in New York. After the PVA procedure was done, it was discovered that I had Atrial Flutter on top of A-Fib running about 140+ beats. Dr. Steinberg advised that I should have an A-Flutter procedure on the left atrium which would take about 40 minutes (about 5% have Flutter in the left atrium rather than in the right). 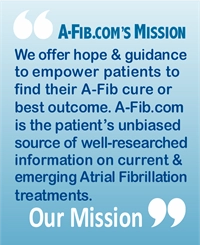 I had already had an Atrial Flutter ablation procedure in the right atrium in 2002 by Dr. Greenberger at Maimonides in Brooklyn. The calcium channel blockers or the Tikosyn had controlled both the Flutter and the A-Fib, but I do not tolerate calcium channel blockers for long periods. They drive my anxiety to very high levels. At that time I didn’t have the left Atrial Flutter ablation procedure. I started doing strong exercises on the ROM (Range Of Motion) 4 minute exercise machine (see http://www.4minutegym.com) and—miracle—it stopped the Flutter. 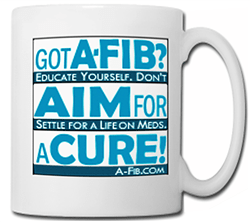 I was free from A-Fib and A-Flutter, took no Tikosyn, calcium channel blockers or coumadin for 2 years. 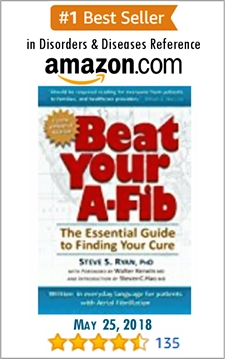 In the Summer of 2006, because of a heat wave here in New York, I stopped doing the exercises and went back to having A-Fib and A-Flutter. I again went back to using Calcium Channel blockers only when an episode occurred. That usually worked within 2-7 hours. I was put on Tikosyn by Dr. Kirstein at Maimonides 250 mg. 2 times daily. The episodes still broke through and lasted from minutes to 12 hours, particularly when I was in stress. I had a Flutter ablation procedure in the right atrium in August, 2007. (I was supposed to have a left Flutter ablation as well; but due to a Stent implant on Plavix, they did only the right side.) The right atrium Flutter ablation failed. They could not find the source. In August 2006 while I was in the hospital, I was introduced by Dr. Joshua Kerstein from Maimonides to Dr. Adam Saltman (great guy—he or his staff always gets back promptly on the phone). On February 20, 2007 I had the Saltman Microwave MiniMaze operation at Maimonides Hospital in Brooklyn, NY. It is touted as “minimally invasive”—TRUE. But from my experience, it was more traumatic than all of my three stent procedures, 2 flutter ablations, plus 1 8 hour PVA procedure put together. During the operation Dr. Saltman removed my left Atrial Appendage. There were no clots. Today is February 25, 2007. Here is a chronicle of my Microwave MiniMaze operation on February 20, 2007. At 8:30 am I got laughing gas. I woke up around 12:30-! :00 pm in terrible agony. 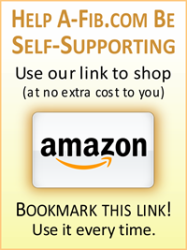 I suffer from Fibromyalgia, and being in an immobile position on a thin gel mattress for so many hours was very painful. (In St. Luke’s hospital they had much more comfortable mattresses.) I strongly believe that in an operating room with over a million dollars of equipment, a better and more comfortable mattress should be provided. At 5:00 pm the two drainage tubes were removed from my chest which helped a lot to reduce the suffering. I was discharged the following day February 21. During the Microwave MiniMaze operation my lungs were partially collapsed. I was given a spirometer. I used it a lot breathing in and also turning it over and blowing strong until I coughed. The first three days I brought up a lot of large clotted blood and tissue. On day 3 I did six steps on the ROM machine, then the next days I was able to do 12, 20, 22, 26, 37 and 40. That’s where I am up to now. But I do feel very beat up. It was major surgery. The wounds are closing. The left drainage hole is closing a bit faster than the right. I do feel inside of me burning pain in different locations of the chest. Last night I had a bad A-Fib episode which lasted a few hours. It drained me. Today my son gave me a full body massage which really calmed me down. I had another A-Fib episode which lasted about two hours. My A-Fib and A-Flutter feel stronger, longer and worse than before, but I was forewarned by Dr. Saltman that it may take up to 3 months for the scar tissue to settle. As of now it is still raw. Here is my reasoning for getting the Saltman Microwave MiniMaze operation. There are 75,000 strokes from A-Fib in the US. In my case I was getting older and at increased risk of stroke from A-Fib. My logic was to get rid of the stroke factor by having my left Atrial Appendage removed. 95% of clots originate in the left Atrial Appendage. Also, I do not tolerate coumadin. Removing my left Atrial appendage means SUCCESS in my book. With G-D’s help I hope the rhythm will also be normalized as time goes by. My thanks to all the wonderful doctors, nurses, pa’s, and sheet changers in the hospital; your smiles and kind words do make a difference. Thank you and may G-D bless you all.